It’s that time of year again for the Texas Hill Country, Wine Lovers Trail. They have a great line up of 48 wineries participating this year. We hope you will stay with us and we can send you off for days of adventure on the trail. February 5-21, 2016 are the dates, so you have plenty of time to come enjoy this great time of year. Come sip and sample till your hearts content. You will also get a box of signature chocolates created just for this trail. Tickets are limited, so get yours now and book your stay for a wonderful romantic weekend getaway. Contact Texas Hill Country Wineries for your tickets. 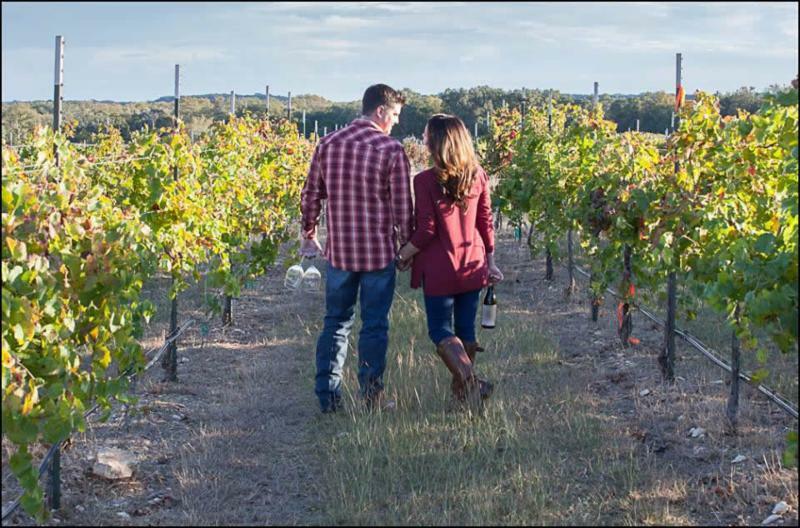 This entry was posted in Romantic Packages, Texas Wine Trail and tagged Texas hill country, Texas wines, wine tasting by admin. Bookmark the permalink.